There are some days of the week which are challenging. There are other days we are stretched to our limit. The experience we call “living on earth” has its moments but it all seems better when we can take a break from our normal routine. 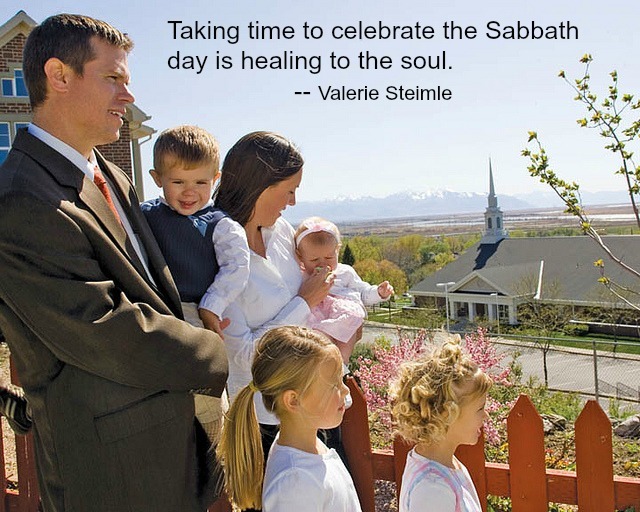 Taking time to celebrate the Sabbath day is healing to the soul. Every Sabbath day is a day of spiritual nourishment and service. Sunday, at our house, starts with prayer and the flip of the stereo for spiritually uplifting music. 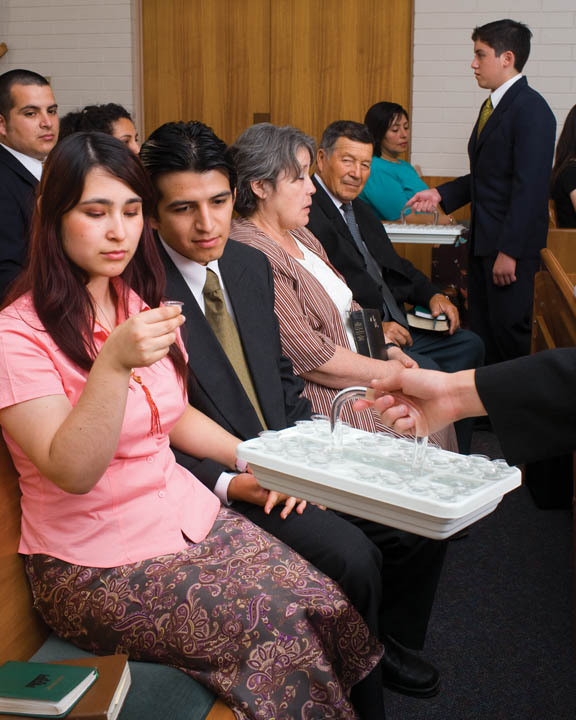 Members of The Church of Jesus Christ of Latter-day Saints (LDS Church) call Sundays the Sabbath day. We learn from Genesis that the Lord created the world in six days and the seven was the day of rest. Resting, as in not necessarily sleeping all day (although as a mother of many children a nap was almost a requirement on a Sunday afternoon), but as a way to take a break from our worldly pursuits and think about God. We go to church, we eat simple meals, we visit the sick, we research family history or we write letters to our missionaries. It is a day we think more about spiritual matters instead of worldly cares. So how did we get Sunday to be the Sabbath? Remembering the Sabbath day to keep it holy (Exodus 20:8-11) is not so much that we keep a strict rule of do this or do that but to remember to rest from what we normally do throughout the week. Weekly activity is set aside and the worship of God is moved to the front. …the Lord has actually given us a gift of time. The Lord knows we need a day of rest. Regardless of the type of work we do, we need to renew our bodies by resting from physical labor. We need to refresh our minds by using them in a different way. We need to feed our spirits by worshiping the Lord. The Sabbath is our opportunity to take care of these needs, develop spiritually, and find joy and peace. The Sabbath should be the best day of the week. Orthodox Jews call the Sabbath day ‘Shabbat Hamalkah, Sabbath Queen.’ They feel that the Sabbath is the crowning day of the week. It is to be regarded as noble, majestic, and beautiful. As a queen, the Sabbath is to be full of grace. My whole week goes better when I take the time to put God first on Sunday. Our families are blessed and we are blessed. I’ve been celebrating the Sabbath for 45 years, and it’s a way of life that I cannot do without. Life will always be better when we take time for the Sabbath day. Valerie Steimle has been writing as a family advocate for over 25 years. As a convert to The Church of Jesus Christ of Latter-day Saints, she promotes Christian living in her writings and is the mother of nine children and grandmother to twelve. Mrs. Steimle authored six books and is a contributing writer to several online websites. To her, time is the most precious commodity we have and knows we should spend it wisely. To read more of Valerie's work, visit her at her website, The Blessings of Family Life. Church Attendance Strengthen Families Why I Go to Church Keeping the Sabbath Day Holy Are You Active in the Church?